The attached handout spells out the 2019 Local Rules for South Orange - Maplewood Baseball. Any rules not specifically addressed by the Local Rules are covered by the Official Cal Ripken/Babe Ruth Rules. The attached handout spells out the 2019 Local Rules for South Orange - Maplewood - Millburn Babe Ruth Baseball. Coaches: You will now be phoning scores in directly to the web site. It is easy to do and shortly after you phone in the score, it will appear on the web site on the page where your team schedule is. The winning coach is responsible for reporting the scores. In the case of a tie, the home team coach should report the score. 2. When asked, say or enter the pin number, and the code of the game. (The game codes are the # in the first left hand column on the web site page where your team schedule is, titled Game #). 3. You will then be told the division, teams playing, and field location - if this is the correct game, confirm by saying yes. 4. When asked, say or enter the score for each team, then confirm. The pin number will NOT be posted on the web site for security reasons. If you do forget it or lose it, contact pcoleman@southorange.org. All Coaches are expected to know the rules governing pitching and pitch counts for their league. They are included in the local rules posted on this page. Violations may result in a forfeit. All teams must report the pitching statistics for their own team’s pitchers to the league representative via email after EVERY game. The information reported must include all pitchers’ names, innings and pitch count. Rules Commissioners (listed below) will ALSO serve as pitch counters. They will post this information to this publicly viewable Google Doc. 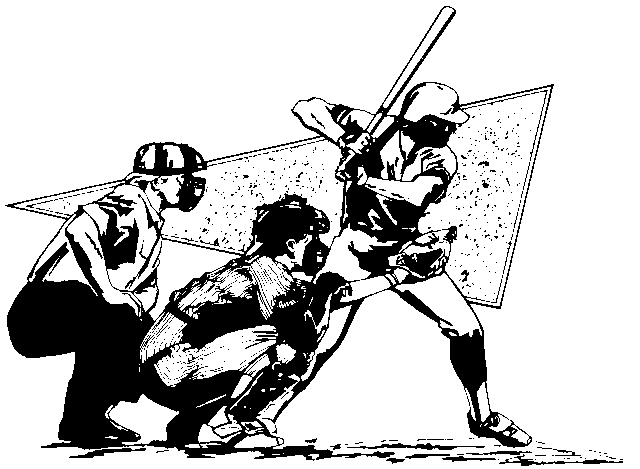 Coaches should send feedback on their game’s umpire to matt.greenblatt@fticonsulting.com. The Rules Commissioners for the 2018 season for each league are listed above. These representatives should be contacted with rules inquiries. In addition, the M60, M70 and Babe Ruth representatives will handle all “call-up” player requests. PLEASE read the local rules for details on the call-up procedure for M60, M70 and Babe Ruth (there are no “call-ups” for the Minor League). TO VOLUNTEER AS A COACH, ASSISTANT COACH OR TEAM MANAGER, CLICK HERE AND SELECT "VOLUNTEERS"
PARENT OF A NEW PLAYER? Don’t let inexperience keep you off the field. MANY VOLUNTEERS are needed in coaching and supporting roles for our T-Ball and Rookie Leagues (the more the merrier)! SOM Baseball will offer coaches’ training and instruction to support all our new and returning coaches. If you have any questions, please come to one of the registration sessions - coaches will be on hand to describe the program in detail. HEAD COACH – The Head Coach has the primary responsibility of dealing with players and parents. He/she has final decision in all baseball matters. ASSISTANT COACH – An Assistant Coach has the responsibility of helping the Head Coach. Coaching volunteers are required to attend the Rutgers S.A.F.E.T.Y. Clinic (one time only). The Rutgers’ course will be offered at the Baird in South Orange sometime in March for all new coaches.